We delivery and setup to any hotel conference room, banquet hall or event venue. Visual Advantage carries a complete line of the equipment needed for your corporate event, fundraiser or charity auction. 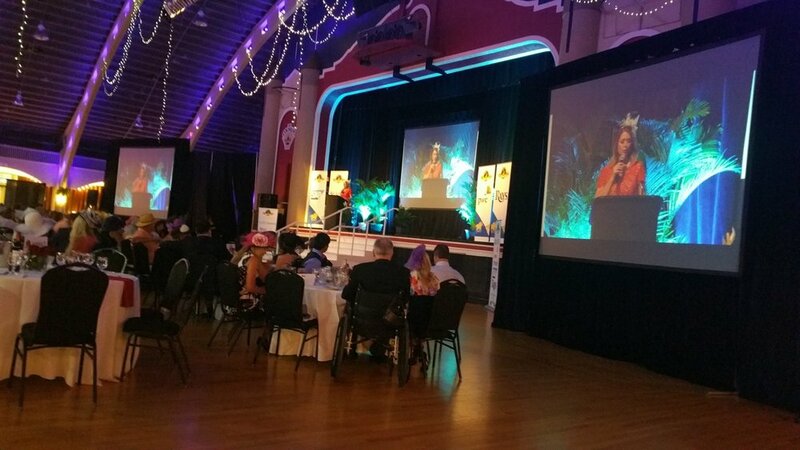 When you need more than sound and video, we have you covered - up lighting, pipe and drape rentals, podiums, staging rentals, live-feed video camera's, stage wash-lighting, spotlights and more. Check out our Event Photos page and see some of our past events to get an idea of how we can make your event a success. For more info or questions, please feel free to contact us. Compare our pricing to in-house av companies associated with hotels & event venues. You’ll be amazed at the difference. For those large events that require stage or up-lighting rentals, pipe and drape, a spot light, live-feed or video-recording camera, etc, Visual Advantage can help you pull it all together. We are a full-service audio visual company that carries the staging and production themed elements some events require. If we do not carry what you are looking for, we partner with some outstanding Bay Area businesses. Take your corporate event, fundraiser, award banquet or charity event to another level with beautiful, eye-catching uplighting. 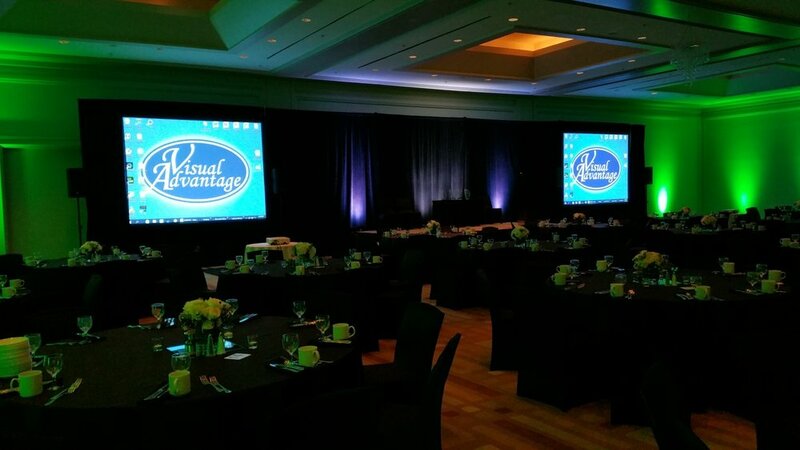 Our uplighting rentals are a great way to bring your entire event together. Choose your organization or business colors or your event theme colors. Pipe & drape backdrops are a beautiful way to add elegance to your corporate event, gala, charity event or wedding. Our pipe & drape rentals give you an easy way to transform the look of any event space. Divide a room, cover a wall or create a stunning focal point. Add some uplighting & turn an ordinary setting into a professional & clean-looking event. For recording your business meeting, sales training, testimonials or seminar. Or for large events where it is difficult for everyone to see the presenter/keynote speaker on stage, a "live-feed" from our video camera is the way to go. Show the presenter or keynote speaker on multiple projection screens ensuring all your guests can see! Most hotels, conference centers & banquet halls have their own podiums for you to use, but if this is not the case, or your event is at your place of business, we can provide podium or lectern rentals. Our podiums come with microphone holders if a mic is required. 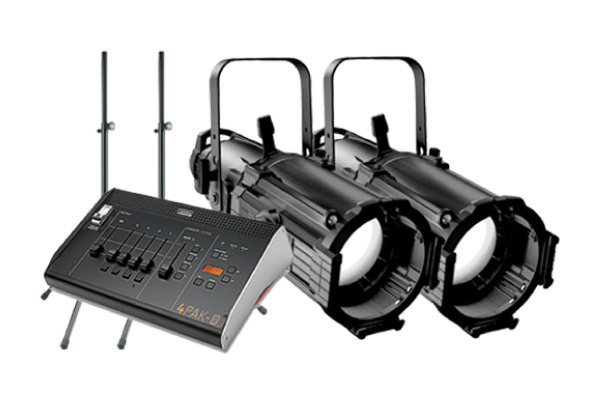 We carry a full-range of lighting rentals. Stage wash lights, follow spotlights & GOBO lights. For more information or questions, please contact us so we can discuss what will work best for you & your event. We carry much more than lighting & staging equipment rentals for your meeting or event. If you need sound or video rentals such as flat screen tv’s, projectors, wireless microphone rentals, sound systems and more, we can help you out. Visual Advantage has been providing reliable, up-to-date equipment rentals to the Tampa, St. Petersburg, Orlando area since 2001. With over 1200 events and counting, we have an exceptional reputation for giving our clients the equipment needed and ensuring the message is seen & heard by everyone.